John Fabian our dear friend, fishing legend, film maker and much more died this past Thursday. John was with his beloved wife Anne in his home and passed on peacefully. 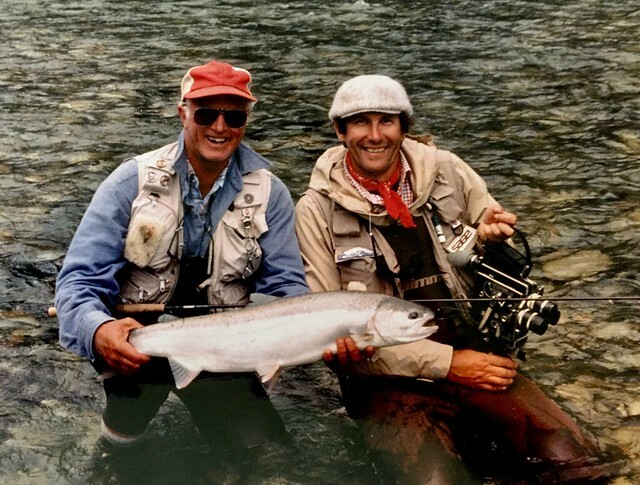 If you ever had a chance to fish with John or meet him in any capacity you know he was one of the most generous and authentic souls you’d ever met. John shared his love for fishing and hunting with everyone he came into contact with. 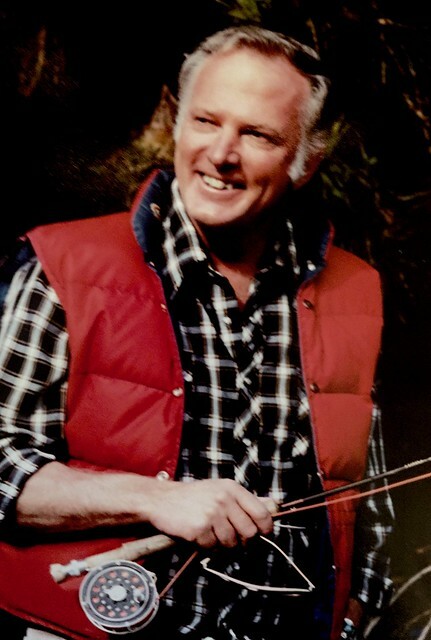 Some of John’s most famous films include Sasquatch and Buffalo Rider, he also made films for 3M in the fishing world. Steelhead films with Lanny Waller, Tarpon films with Billy Pate and numerous other instructional works. John will be known as a wonderful teacher, gifted angler, hunter and outdoorsman. 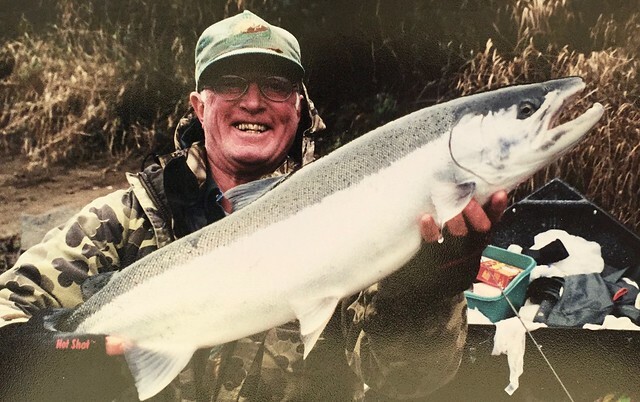 John fished and hunted in Oregon more than anyone we know over the past 50 years. If you have stories you’d like to share please use our blog comments field, we would love to here them. John was a beloved friend and will be missed greatly. We will forever cherish our time in this world with him. This entry was posted in Fly Fishing Profiles. Bookmark the permalink. Sorry to hear about John!!! I only met the man twice fishing the McKenzie River with Ray Zalunardo and I have to say what a great guide and person. I could see John really enjoyed teaching others to fly fish , women and men both for sure! I remember he had his pet dog with him every time we were in the boat! John knew the McKenzie like the back of his hand and what fly to use for different weather conditions. He definitely new how to row a drift boat. In my book John was just an alright guy who like people and it showed when you met him! So sad his is gone! I had the great pleasure of fishing twice with John In the last 3 years. He was a great teacher and fun just to spend time with. Learned a lot how and where to fish “his river”. I will long treasure those days. Thank you John. We lost a great one here, what a great zest for life and a true ambassador for the great outdoors. I was fortunate enough to spend many days as a kid being drug around while John Fabian and my dad Larry Green filmed, fished, hunted & laughed all over the CA & Oregon. 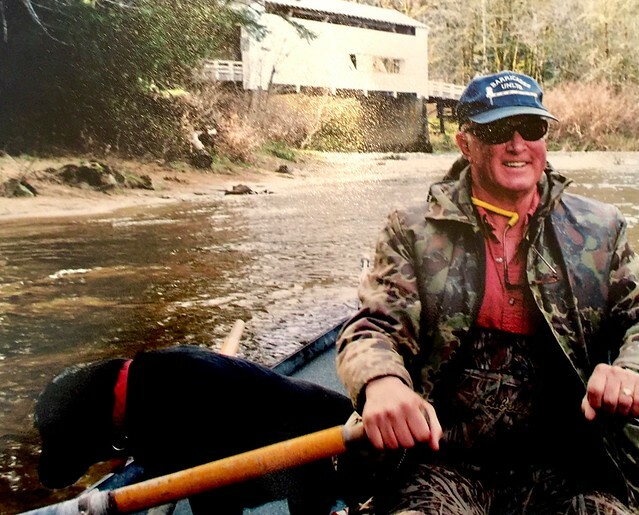 RIP John, my heart hurts today but yet I keep smiling every time I think of you rowing me down the Willamette River and telling me every spot a steelhead would be and to keep casting! John and I used to work at Lake Tahoe in summer when we were in college. We fished for Lake Trout in Tahoe and Browns in a couple of inflowing streams. 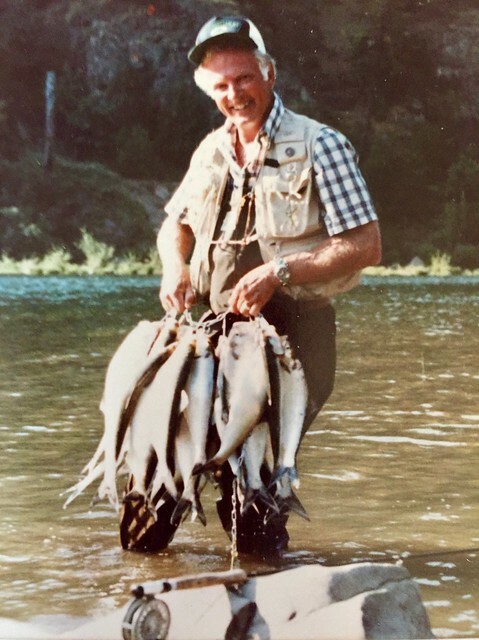 We also fished the North Umpqua river in 1957. Then we lost contact when we went different ways. I moved to Florence, OR three years ago. Shortly after moving to OR I was shopping in Oregon Rod Reel and Tackle and of all things ran into John. He took me under his wing and shared his favorite rivers and techniques fishing for Salmon, Steelhead and Trout. There wasn’t a riffle, hole or run that he didn’t know intimately. John was one of the very best guys to hang out with. His great smile will be with me forever.